McRib is back. Again. And McDonald's Canada is celebrating its return with a rock 'n' roll theme. 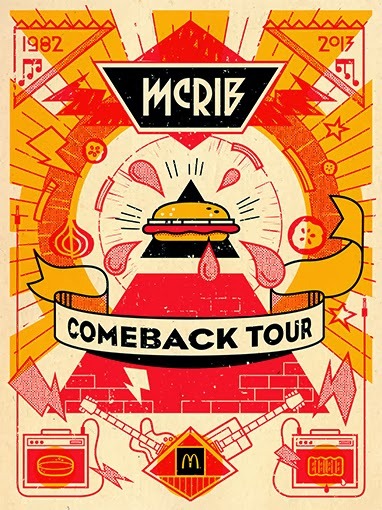 On the McRib Comeback Tour page, there's a McRib song, merchandise, and other stuff. It was obviously inspired by The Who's habit of repeated comebacks. The McRib, after all, was first introduced the year The Who first called it quits. Considering the remaining members of the who plan to retire "for real" in 2015, I wonder which act has more staying power?